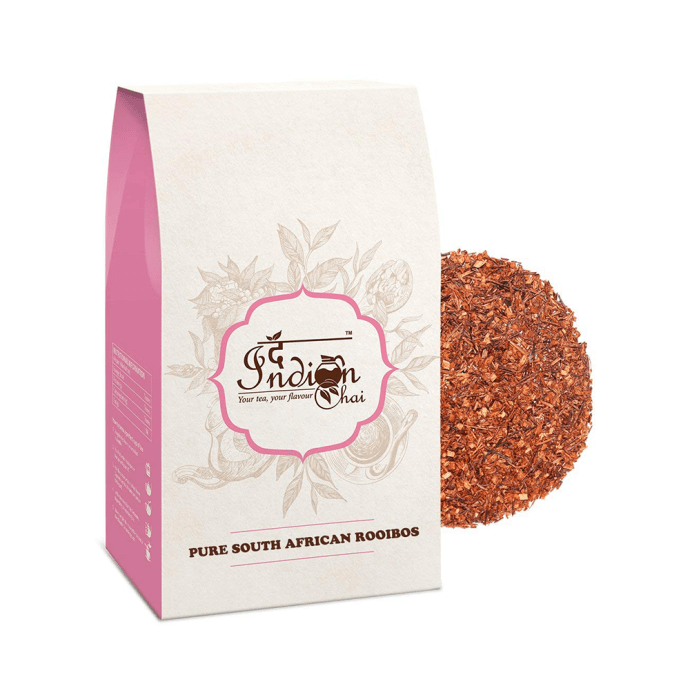 The Indian Chai Pure South African Rooibos Tea is a soothing herbal tea whose main ingredient, Rooibos, is found in South Africa. It is caffeine-free and enriched with anti-oxidants. It is well known for its calming effect. It aids in iron absorption in the body as its tannin content is way lesser than normal black teas. It has a flavonoid called quercetin that helps with abdominal cramps and indigestion.